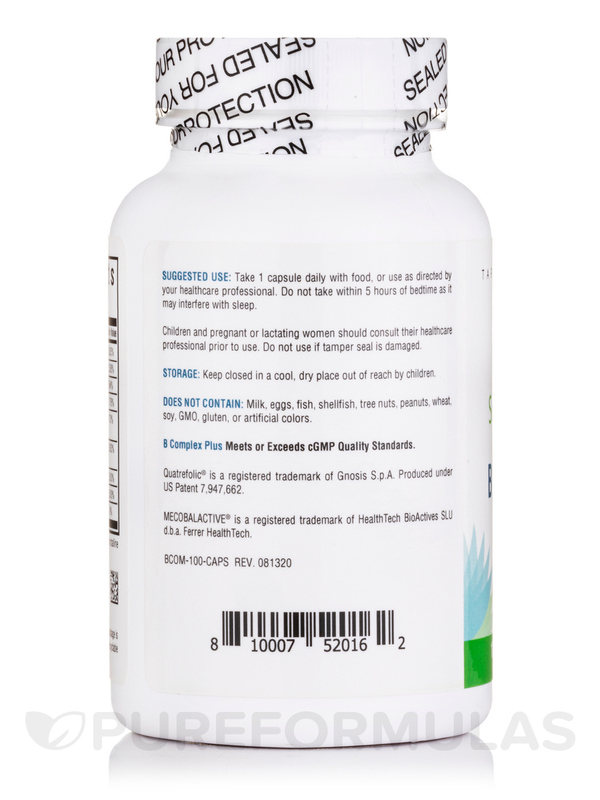 B Complex Plus by Seeking Health helps MTHFR genetic mutation with proper B supplementation! Only B Complex Plus by Seeking Health doesn't cause horrible side effects I've been able to take. I have an MTHFR mutation. Works perfect. For everyone who has looked, you know finding a good vitamin without folic acid is tricky. I've been taking B Complex Plus by Seeking Health for over 6 months with no adverse reactions! 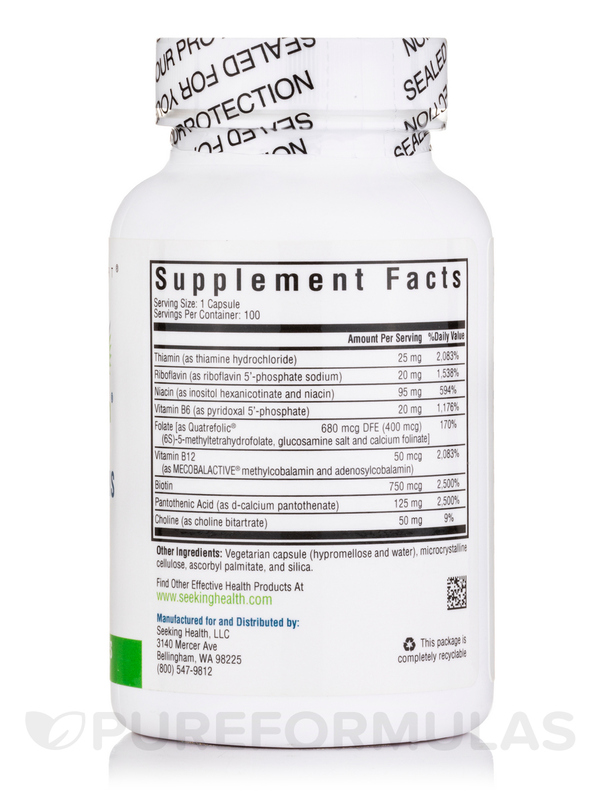 B complex vitamins are required for optimal health‚ particularly for healthy nervous system function and useful for supporting neurological system requirements as it is the only form of folate that crosses the blood-brain barrier. 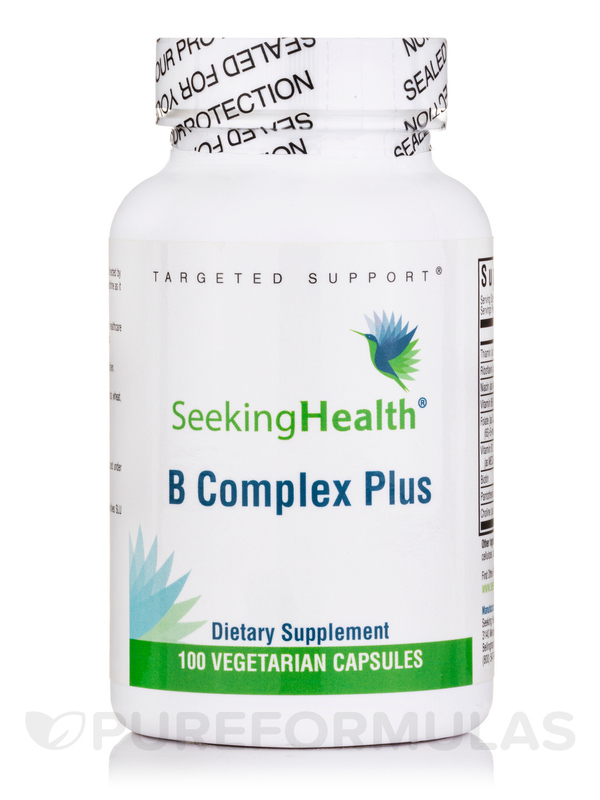 B Complex Plus by Seeking Health is formulated with bioavailable‚ well-tolerated forms of B complex vitamins and cofactors shilajit extract (providing fulvic acid) and choline. B Complex Plus contains no dairy‚ eggs‚ wheat‚ GMO‚ artificial colors‚ flavors‚ or preservatives. 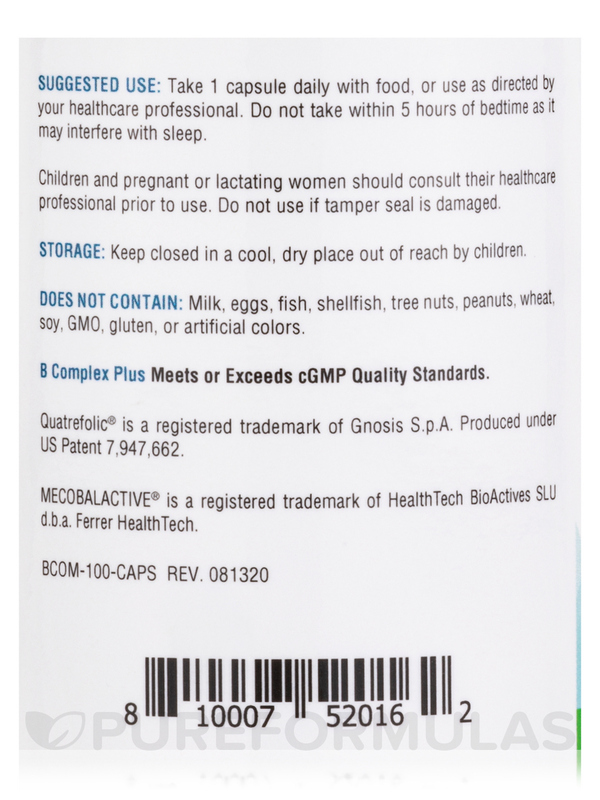 (As Quatrefolic® (6S)-5-methyltetrahydrofolate‚ glucosamine salt‚ and calcium folinate). Other Ingredients: HPMC (Capsule)‚ ascorbyl palmitate‚ medium chain triglyceride oil‚ and silica. Does not contain: Milk‚ eggs‚ fish‚ shellfish‚ tree nuts‚ peanuts‚ wheat‚ soy protein‚ GMO‚ gluten‚ or preservatives. 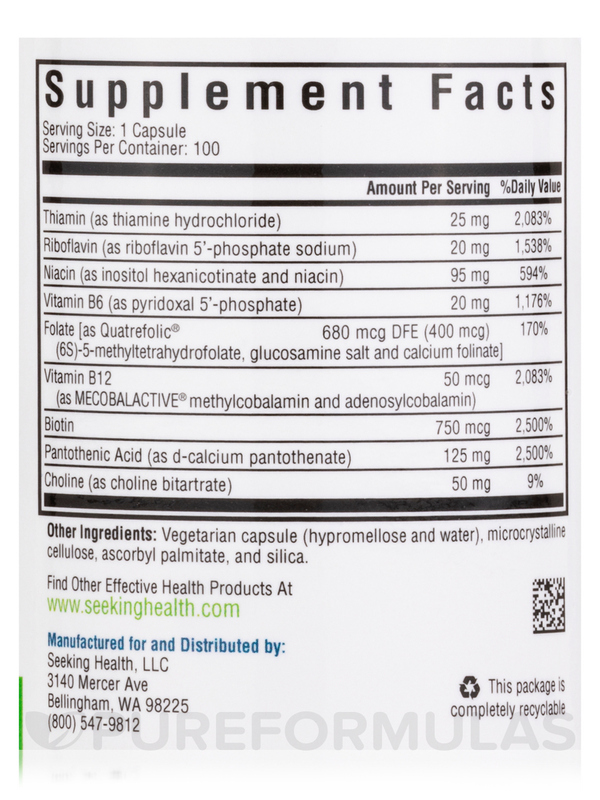 I have taken a lot of different vitamins with niacin and never had a problem, the amount of niacin in these B Complex Plus - 100 Vegetarian Capsules caused me to have severe niacin flushes multiple times that lasted 30 minutes which made my head and arms hot and itchy. I was able to take them for about a month before this issue started happening and then it began to occur every few days within about 30 minutes after taking them. I read that it is best to always take them with food, which I made sure to do. I take one of B Complex Plus by Seeking Health every day and feel great! My PCP recommended B Complex Plus by Seeking Health and formula to help me with reducing stress and boosting my energy. I take it everyday. Be mindful, if you take it at lunchtime it may keep u up at night. If it does, try taking it at breakfast instead.